“We can write a book!” my UNHCR logistics friend, Amos, told me, as I was about to board the plane. A little earlier, we were in a sticky situation, but it got worked out, and I’ll leave it at that, but Amos thinks it would make for a good chapter topic. Besides that “minor” detail, it was a wonderful day. He took us to the refugee restaurant, where most of the other players were. It was exactly the same, smiles and hugs all around. The guys look good. They look happy, and very importantly, they look strong! The diet we requested for them is very likely more nutritious than what they had been eating for years, and their months of training also has made them more solid. They all say, “We are ready.” What a group. The natural team leader, Souleyman, spoke and said how they had all become family, as if they “are from the same mother and the same father.” They are united. They have been training twice a day, six days a week, every week since we left them after the try-outs. They say they have been training based on what coach Mark taught them, and that they have added some “activities” of their own. None of them admitted to being nervous about traveling far away to a foreign land to compete in a large tournament. They are ready, although I have to believe that some of them have butterflies fluttering in their stomachs. Today, Friday, was their day off, and some of them were sharply dressed. They told me that they practice at 5am and 4pm every day, to stay out of the extreme middle of the day heat. Tomorrow, before the sun raises, we’ll head out there and let them do what they have been doing for two months, and see how it looks. We’ll be with them for three days here in the camp, and then we start our journey, first to N’Djamena. After a few more stops, we’ll arrive in Iraqi Kurdistan and the Viva World Cup. UNITED! 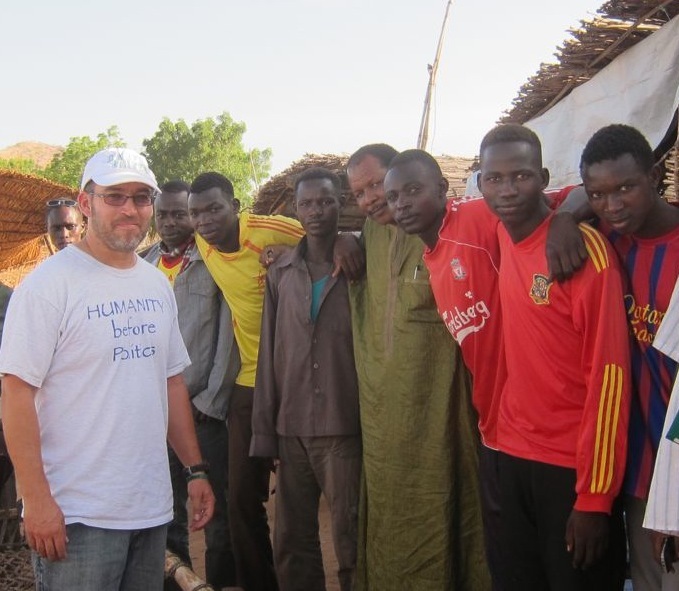 Hey Darfur United! I am so proud of you guys and the people whom are running this project and I hope to you a great success. I am also from Darfur living in The State of Israel now as a refugee too. I am following this project since the beginning and every time I receive or read news about you guys I received with tear in my eyes hoping from the bottom of my hard that this team which is not just United as a team but to be the roots of Nation to be united and to consider it as a national team of the future. So please make it real with respect of each others, we feel week now but we will never give up until the last breath, so can you promise to make it and to be the voice of voice less?? we as Darfur refugees here in Israel stand with you in your single steps and following you one by one. Thank you so much for your powerful message. I will pass it on to the players. The team is a great group of guys, and I know that they will be more than good on the field. They will be great ambassadors for all the people of Darfur. Please say hello to all Darfuris in Israel, and tell them that we are thinking of them. First of all, we would like to thank all the people of Israel for supporting Darfuri people and letting them stay in their land. We know that Darfurians are homeless. Some are IDPs, some are refugees, and for some we do not know where they are. We are Darfur United because others support us and join us, and we say to our friends in Israel that we will not give up at all. God willing, we will represent Darfur, united, and we hope they stand with us. The first thing I request is that we stay united. 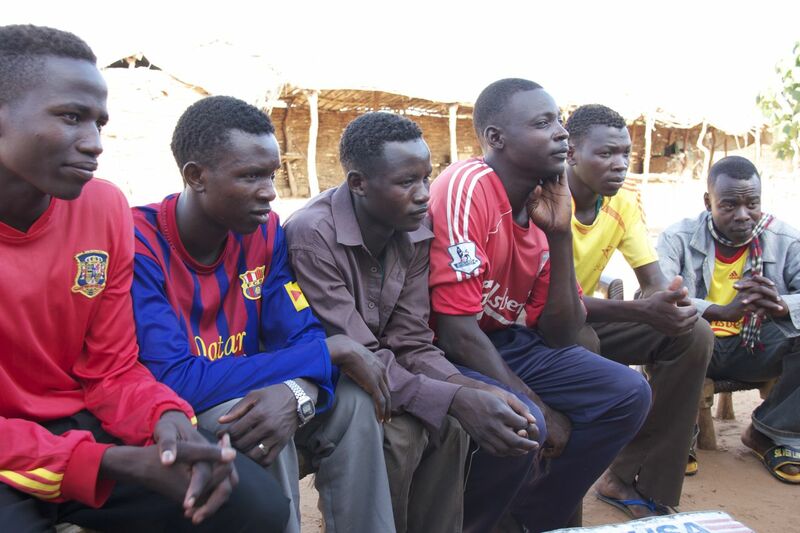 This is what we say as Darfur United.